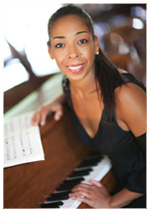 Owner of Star Potential Studios, Ellen Annor-Adjei, studied piano from the age of five and subsequently attended the Musical College of Moscow State Tchaikovsky Conservatory. She has appeared in numerous recitals at the Arts & Letters Club, the Toronto Centre for the Arts, Glenn Gould Studio, and the Four Seasons Centre for the Performing Arts. Ms. Annor-Adjei has extensive teaching experience in Europe and North America. She was on the faculty of University Settlement Music and Arts School from 1996 to 2011 as well as continuing teaching privately and coaching chamber groups. One of the important objectives of Musical Arts Academy is to provide students with a more well rounded musical education. We encourage our students to attend group classes which are very beneficial in the development of their musical education. We are also giving students opportunities to perform frequently in front of audiences. This sets goals for the individual students and helps them to develop self-confidence. Music is the form of art which makes our lives rich, enjoyable and complete. 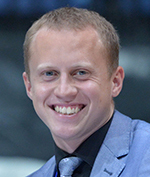 Viacheslav is a champion of Republic of Belarus. Over the years, he has won various awards and competitions and been a finalist in various international championships. For example, he placed 11th in Salzburg, Austria as a semifinalist of the World Cup (2007) and placed 8th in Spain-Valencia for the European Cup (2007). In Minsk, he placed 5th in the East European Championship, making him a finalist in the prestigious event (also in 2007). Has been many times finalist of international competition in Russia, Ukraine, Poland, Lithuania, Latvia, Georgia, Denmark, Spain, Austria. In addition to his successes on an international competitive scale, Viacheslav has also won, and/or been involved with many highly regarded events including the popular TV project "Dancing with the Stars". In 2009, Viacheslav and his partner Elena(singer) won the title for "Dancing with the Stars" in Belarus. In 2011, Viacheslav returned to the show in Istanbul, Turkey and participated in the project but had to leave the competition due to his partner's health. In addition, he was the winner of a Belarusian competition among talented youth in 2010, "The STAR Raise Under Belarus" which included over 4,000 participants. These are just a few of the many victories and successes Viacheslav has had in the international dance community. In 2010 he has completed the full course (from 2004-2010) of the «Belarussian State University of Culture and Arts» having specialized in «Choreography (Ballroom Dance) » received Highest Education the Master’s Degree. Not only do his performances bring him critical acclaim, but Viacheslav has had a great deal of experience as a dance teacher around the world. He has taught in places such as Singapore, Indonesia, Malaysia and Turkey. Watch on YouTube: CHIZHIK SLAVA WINNER OF "DANCING WITH THE STARS" IN BELARUS!!! A Toronto-based actress and dancer whose stage credits include Romeo and Juliet (Theatre Centre), Grease (Bluma Appel Theatre), Turks and Infidels (Jane Mallet Theatre), Macbeth (Berkeley Street Theatre). She has many years of extensive training in classical and contemporary acting, spoken-level singing, both Russian and Cecchetti techniques of ballet, as well as ballroom and other contemporary styles of dance. Training includes Ryerson Theatre School (Acting), Upper Canada Repertory Conservatory, Etobicoke School of the Arts, Kate Ashby Academy, Second City Training Centre, Falconer Abraham Studio, Sean Boutilier Academy of Dance, Art of Dance Academy. Lia Marie Donadio has been dancing since the age of three, spending over ten years as a competitive dancer, for both regional and U.S. competitions. Genres include jazz, jazz funk, hip hop, acrobatics, contemporary, lyrical, along with modern, ballet, tap and musical theater. Lia also spent six years as a competitive gymnast and can still tumble, do acro tricks and hold a very long handstand. You will see Lia in Season 2 of “The Next Step”, character Sasha. Lia regularly performs professionally as a dancer for various production companies, for both corporate and special events, including interactive dinner theater performances. For the last few years, Lia has also been studying acting, singing, piano and has done print and some runway modeling. Lia is thrilled to be working with Star Potential Studios as a dance teacher and Disney Princess character. 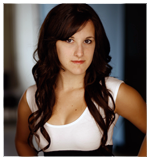 Shanoa is a Toronto-based actor whose stage credits include Peter Pan (Shakespeare by the Sea), Grease (Acadia Theatre), Legally Blonde (Randolph Centre for the Arts), and The Last Days of Judas Iscariot (Randolph Centre for the Arts). Having both a degree in Musical Theatre, and Classical Singing, as well as having taught musical theatre for over 10 years, she is well-versed in both acting and singing, as well as musical theatre dancing. Her training includes Randolph Academy for the Performing Arts (Acting/Singing/Dancing), Acadia University (Classical Singing), Maritime Dance Academy, and Neptune Theatre School. Please, look at the Musical Arts Academy website for details.